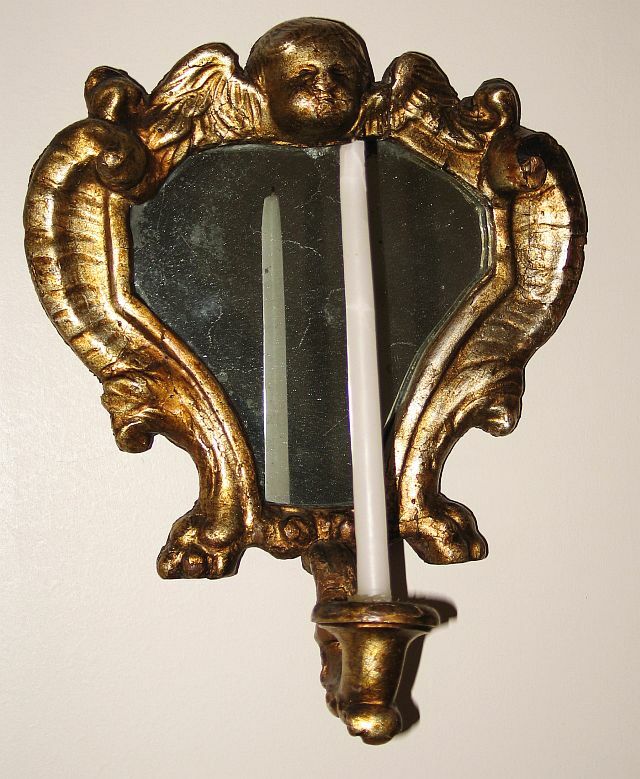 Small Italian giltwood sconce with mirrored back. Cherub and scroll carving. Back replaced.